The Innovation Group (TIG) has secured a partnership with the largest dedicated sports betting industry event for the United States – Betting on Sports America. 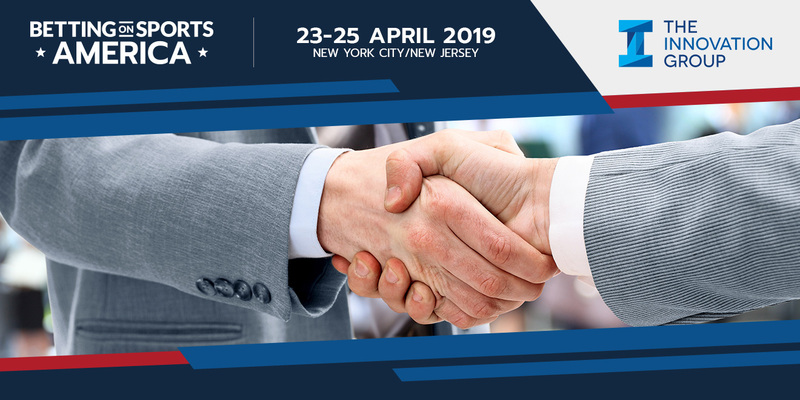 Betting on Sports America, taking place at the Meadowlands Exposition Center in New Jersey from 23-25 April, is expected to attract more than 1,500 executives from the worlds of sports betting, sports, casinos, tribes, regulators and lotteries. The deal signed today between the organisations has seen TIG become a Supporting Partner of the Sports Betting Community (SBC) event. SBC has become synonymous with sports betting over the past 10 years and runs the three biggest global sports betting trade events – Betting on Sports, Betting on Football and Betting on Sports America. The Innovation Group has long been recognized as the world’s most respected and sought-after research and advisory firm specializing in the gaming, entertainment, hospitality and leisure industries. To date, TIG research has driven over $100 billion in investment decisions across more than 80 countries and six continents. The Innovation Group’s accuracy and reliability is unparalleled, with its forecasts historically tracking within 5% of actual revenues across the most complex of gaming jurisdictions across the globe. The firm has added a data analytics arm and been focused on the online and sports betting segments most recently. Betting on Sports America, held 23-25 April in New Jersey, is the largest dedicated sports betting conference & exhibition in the US. The conference boasts 175 leading industry speakers across 40 sessions, with 60 exhibitors displaying their latest products on the 61,000 sq ft exhibition floor at the Meadowlands Exposition Center. Delegates will be treated to world class hospitality with plenty of business and networking opportunities in New Jersey (Meadowlands Racetrack) and New York (40/40 Club and Sky Room Rooftop Bar). For more information about the event, please visit https://www.sbcevents.com/bosa2019.